ARRL Headquarters Will Be Closed on Monday, July 4: ARRL Headquarters will be closed on Monday, July 4, in observance of Independence Day. The office will reopen on Tuesday, July 5, at 8 AM ET. We wish everyone a safe and enjoyable holiday celebration! 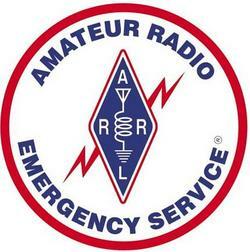 All Amateur Radio Emergency Service (ARES) districts and counties in West Virginia are on alert for possible activation in the aftermath of severe flooding, which has claimed 23 lives, destroyed hundreds of homes, and damaged countless others. More than 30,000 were without electrical power at one point, but that number was less than 8000 by midweek. President Barack Obama has declared a major disaster in the state. "Currently there are no ARES/RACES activations in progress in West Virginia," Section Emergency Coordinator Jim Stephenson, WV8JS, told ARRL. "The flood damage was extensive in many parts of the state; however, the wired telephone and cell phone systems have remained mostly operational." As of June 29, 12 West Virginia counties remained under states of emergency. Although the emergency in West Virginia is grave, Stephenson said a communication emergency never developed. "It is amazing that the wired telephone and cell phone systems have stood up against this severe flooding," he added. 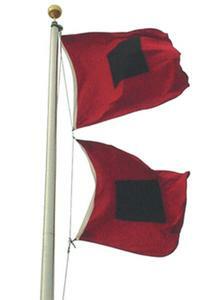 The Federal Emergency Management Agency (FEMA) has issued a federal disaster declaration for Pocahontas, Webster, Kanawha, Greenbrier, Nicholas, Fayette, Clay, Roane, Summers, and Monroe counties. West Virginia Gov Earl Ray Tomblin said the National Guard and local emergency responders have been dealing with the effects of the flooding. FEMA officials toured the most heavily affected areas last weekend. The flooding washed out the Greenbrier Classic PGA Tour event. Stephenson said that he and Kanawha County Emergency Coordinator Jason Means, W8KTM, spent June 27 at West Virginia National Guard (WVNG) headquarters in Charleston, helping to install an Amateur Radio station in the joint operations center. He said the station will have HF and VHF capabilities. "The WVNG has about 700 troops on the ground working and FEMA is in the state assessing damage," he said. "West Virginia Section Manager Phil Groves, N8SFO, has been distributing food and water in the Richwood, Nicholas County, area." The flooding washed out the Greenbrier Classic PGA Tour event, which had been scheduled for mid-July at the Greenbrier resort in White Sulphur Springs. The resort has been providing accommodations for some flood victims. The FCC transitioned to a new Electronic Comment Filing System (ECFS) with a "hard launch" on Monday, June 20. The FCC said its legacy system no longer is available, but all documents and files remain accessible in the new system, and saved links (bookmarks or favorites) to documents and proceedings should not need to be adjusted. The modernization project is expected to significantly improve the resiliency and performance of ECFS, the FCC said. "This system contains the entire history of docketed proceedings from 1992 to the present," the FCC said. "New submissions will be added to the public record. We will continue to refine this system in response to user feedback." The ECFS has become the most popular way to gather public comments on Amateur Radio-related proceedings. The FCC said the public can use the ECFS to retrieve any document in the system, including selected pre-1992 documents that have been scanned into the system. The system also lets users browse popular proceedings. It's also possible to submit a filing via the ECFS, using Word, PDF, or Excel files, and the system lets filers check the status of their submissions and to see if a filing now is available online. ARRL will sponsor a 2016 Atlantic Season Hurricane Webinar on Thursday, July 21, at 8 PM ET (0000 UTC on Friday, July 22, UTC). The approximately 90-minute session will address the role of Amateur Radio during the 2016 Hurricane Season. Anyone interested in hurricane preparedness and response is invited to attend this online presentation. Topics will include a meteorological overview of the upcoming season; Amateur Radio station WX4NHC at the National Hurricane Center: Who We Are and What We Do; ARRL Media and Public Relations; the Hurricane Watch Net (HWN); the VoIP Hurricane Net, and ARRL coordination and interface. For additional information, contact ARRL Emergency Preparedness Manager Mike Corey, KI1U. "Are Linear Amplifiers Really Worthwhile?" That's the topic of the current (June 30) episode of the "ARRL The Doctor is In" podcast. Listen...and learn! On June 24, President Barack Obama designated the area around the Stonewall Inn in Greenwich Village, New York City, as the 412th unit of the National Park Service. The Stonewall National Monument is the first site of the National Park Service dedicated to the struggle for civil rights of lesbian, gay, bisexual, and transgender people. As it is now an official unit of NPS, Stonewall National Monument qualifies for the ARRL National Parks on the Air program, and has been designated as MN83 for NPOTA. The new Stonewall National Monument encompasses nearly 8 acres of the Greenwich Village neighborhood and includes Christopher Park and the historic Stonewall Inn. For June 30-July 6, 44 Activations are on tap, including First State National Historical Park (HP12) in Delaware, and Grant-Kohrs Ranch National Historic Site in Montana. The first ARRL Teachers Institute of 2016 wrapped up on June 10 in Highlands Ranch, Colorado. 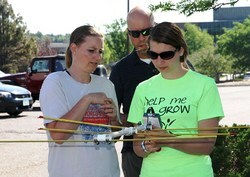 The bonus, donor-sponsored introductory (TI-1) session was hosted by the Douglas County STEM School and Academy for teachers along the Denver Front Range. These educational opportunities are offered by the ARRL Education & Technology Program (ETP). 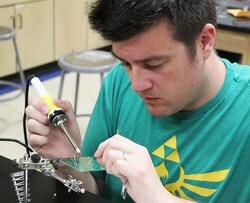 TI participant Josh Leckman, a physics teacher, solders components to a project board. "Because we had a surplus of very qualified applicants for our regular sessions, we were able to fit a few of those applicants into this Colorado session, along with nine local teachers," ARRL Education Services Manager Debra Johnson, K1DMJ, explained. ETP Instructor Larry Kendall, K6NDL, taught the Colorado class -- the first-ever 5-day TI session. Already on the 2016 schedule are two introductory Teachers Institute sessions and one advanced session. The Introduction to Wireless Technology course (TI-1) wrapped up last week (June 20-24) at Parallax Inc in Rocklin, California; a second is set for July 25-29 at ARRL Headquarters in Connecticut. The advanced Remote Sensing and Data Gathering course (TI-2) will be offered July 18-21 at the Dayton Amateur Radio Association in Dayton, Ohio. The TI-1 course is a prerequisite to TI-2. Kendall said the Colorado Teachers Institute was organized by Paul Veal, N0AH, a former TI participant and STEM parent and supporter. His daughter Anna, W0ANT, spoke to the TI attendees about her involvement in the school's balloon-borne research projects. Complementing the Colorado educators were teachers from Georgia, North Dakota, and Illinois. Kendall said participants took advantage of the additional class time at the Colorado session to discuss classroom implementation, demonstrations of classroom activities, and to absorb the concepts covered during the week. A hidden-transmitter hunt was part of the program. From left to right, Mica Storie, Ed Watterson, and Morgan Schwab. The class got high marks from participants. "Although I teach some basics in communications technology and modern manufacturing processes, I have struggled to bring hands-on, practical applications to my students," said Lance Newman, a high school teacher from Illinois. TI-1 was just what I needed!" He's planning to get his Amateur Radio license. Fifth grade teacher Chris Laster, KM4KPJ, of Georgia, said the TI-1 session was "hands-down" the best one he'd ever attended. "I left with tons of ideas to implement and a much deeper understanding of radio science and electronics that will make me both a better ham and a better teacher," he said. "It was an incredibly productive week!" Donations to support the ARRL's efforts to promote Amateur Radio in schools and to provide professional development to educators is welcome. Read more. The FCC's Office of Engineering and Technology (OET) has clarified that all RF LED lighting devices falling under Part 15 rules as "unintentional radiators" must meet conducted and radiated emissions limits set forth in those rules. "Operation of Part 15 unintentional radiators is subject to the condition that no harmful interference is caused," the OET reminded, in a knowledge database paper released on June 17. "Manufacturers and users should therefore note that lighting devices are required to cease operation, if harmful interference occurs." "[W]e have found that emissions from RF LED lighting devices are non-periodic, broadband in nature, and are produced as a byproduct of the internal driver circuitry within the RF LED lighting device," the OET "knowledge data base" paper said. "These types of emissions have adequate energy and potential to generate radiated emissions well above 30 MHz." The ARRL Lab's Electromagnetic Compatibility Engineer Mike Gruber, W1MG, said he was pleased to see the FCC's OET clarify the test measurement requirements. 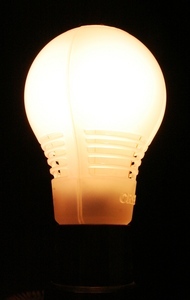 He said ARRL is generally hearing more RFI complaints stemming from RF LED bulbs. "Not only are the emissions limits higher for Part 15 LED bulbs -- as opposed to Part 18 fluorescent and CFL bulbs -- they seem to be winning out in terms of consumer popularity," Gruber said. "Higher limits and more bulbs probably make for more complaints." Gruber said the Lab has seen LED lighting devices causing problems in the 2 meter band. "Since conducted emissions limits do not apply above 30 MHz, radiated emissions limits can be the first line of defense against RFI at these higher frequencies." Gruber pointed out that noise generated by street and traffic lighting can be widespread. In such instances, he suggested that Part 15b limits for residential areas should apply. "These limits are lower than Part 15a limits, which are intended only for commercial and industrial environments," he explained. "This is especially critical in cases where a pole transformer connected to the lighting device also feeds a home or residence. The 240 V split-phase secondary system can conduct RF into a residence through the service entrance panel." He suggested that the lower limits may benefit mobile users. Read more. The eighth annual 13 Colonies Special Event takes place from 1300 UTC on July 1 until 0400 UTC on July 7. Stations working the special event station in at least one of the original 13 states -- or all 15 participating stations -- will be eligible for a certificate. A Liberty Bell endorsement will be attached for stations contacting sister special event station WM3PEN, in Philadelphia, where independence was declared. Returning this year is a second sister station, GB13COL in Durham, England. Stations will be on the air from each of the original 13 colonies: Connecticut (K2D), Delaware (K2E), Georgia (K2G), Massachusetts (K2H), Maryland (K2F), North Carolina (K2J), New Hampshire (K2K), New Jersey (K2I), New York (K2A), Pennsylvania (K2M), Rhode Island (K2C), South Carolina (K2L), and Virginia (K2B). Each year on July 1 -- the anniversary of Canada's Confederation -- Radio Amateurs of Canada (RAC) sponsors the Canada Day Contest. Amateurs everywhere are welcome to join Canada's birthday party on the air. The event gets under way at 0000 UTC on Friday, July 1 (Thursday evening in US time zones), and concludes at 2359 UTC. Available bands include 160, 80, 40, 20, 15, 10, 6, and 2 meters, on CW and phone. There are nine possible entry categories. You may work any station once on each mode on each of the eight available bands. 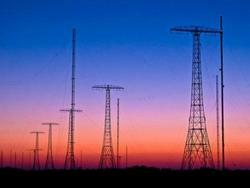 Suggested frequencies: CW, 25 kHz up from the band edge; SSB, 1.850, 3.775, 7.075, 7.225, 14.175, 21.250, and 28.500 MHz. Check for CW activity on the half-hour. Canadian stations sent signal report and province/territory. VE0s and stations outside Canada send a signal report and serial number. Contacts with stations in Canada or VE0s are worth 10 points. Contacts with stations outside Canada are worth 2 points. Contacts with RAC official stations (with RAC suffixes) are worth 20 points. VLF enthusiasts, take note: The SAQ Alexanderson alternator will be on the air for "Alexanderson Day," Sunday, July 3, for a full-day event that includes both VLF transmissions and Amateur Radio HF activity from SK6SAQ, the ham station at the Grimeton heritage site in Sweden. The Alexanderson alternator -- an electromechanical radio transmitter -- is named after the Swedish engineer Ernst F.W. Alexanderson, who emigrated to the US in 1902 and spent many years working at General Electric and RCA. On Alexanderson Day, there will be two separate, but identical, 17.2 kHz transmissions, at 0900 UTC and at 1200 UTC. The Alexanderson alternator will be started 30 minutes before transmissions begin. The only functioning Alexanderson alternator transmitter in the world is used on special occasions throughout the year to transmit short CW messages on 17.2 kHz, and is easily heard in Europe. The transmitter is preserved as a historical remnant of early (1920s era) radio technology. In addition, Amateur Radio station SK6SAQ will be active on 7035, 14,035, or 21,035 kHz for CW, and on 3755 kHz for SSB. Two stations will be on the air most of the time. A "Scanning RF Seismograph," a real-time HF propagation-monitoring tool developed by the MDSR Team and Alex Schwarz, VE7DXW, a member of the North Shore Amateur Radio Club (NSARC), has been established in Western Canada. The site is in Lynn Valley (CN89li), North Vancouver, British Columbia, at 500 feet ASL. A Yaesu FT-950 transceiver connected to an omnidirectional multiband antenna monitors JT-65 frequencies on six HF bands (for 8 seconds each, repeating the scan every 52 seconds). Recorders monitor the background noise of the band and display the result in six color-differentiated (one color per band), long-duration graphs displaying a total 6 hours of scans. When signals are present on a band, its graph trace starts to resemble a series of vertical bars. The small, irregular jiggling of the graph traces is caused by changes in noise level, and by the reflection of noise off the D Layer of the ionosphere. The web link is updated every 10 minutes. Yaesu Musen has announced that it will support World Radiosport Team Championship 2018 (WRTC 2018) in Germany as the event's prime sponsor. Yaesu Director Masao Mori, JA1COW, and WRTC 2018 President Christian Janssen, DL1MGB, signed a Memorandum of Understanding on June 25 at Ham Radio 2016 in Friedrichshafen, Germany. Yaesu, which marks its 60th anniversary this year, will donate all rotators for the WRTC stations' antennas. "Yaesu is happy to get into such close contact with the WRTC 2018 on the occasion of the 60th anniversary," Mori said. "We are looking forward to providing our long-standing experience in the cooperation with the great events of Amateur Radio." Janssen called Yaesu's support "a great step forward" toward meeting WRTC 2018's sponsorship targets. Also signing the agreement were Martti Laine, OH2BH, and Volkmar Junge, DF2SS. Laine, one of the organizers of WRTC 2002 in Finland, contributed his support to the negotiations. WRTC 2018 organizers expressed their gratitude to Yaesu for "its most generous support as a token of worldwide cooperation in Amateur Radio" and to Laine and Junge "for their consulting and support." WRTC 2018 will take place in mid-July in the Jessen/Wittenberg area near Berlin. The 2016 AMSAT Space Symposium and Annual Meeting take place at sea. possible, but no later than September 15. Final versions are due by October 15 for inclusion in the printed proceedings. Send abstracts and papers to Dan Schultz, N8FGV. The 2016 AMSAT Space Symposium and Annual Meeting will be held aboard the cruise ship Carnival Liberty, departing from the port of Galveston, Texas, on November 10 and returning to port on November 14. The cruise includes 2 full days at sea and 1 day in port at Cozumel, Mexico. The Indian Space Research Organization (ISRO) has successfully launched several satellites carrying Amateur Radio payloads. Satellites put into orbit include Swayam-1, a 1U CubeSat that carries a digital store-and-forward messaging system for use by the Amateur Radio community. "We are eagerly waiting for your reception report of the CW beacon at 437.025 MHz. You can also get the decoded beacon data by entering 'beacon' in Swayam beacon signal decoder available on our website," said Rupesh Lad, VU2LRD/VU2COE of the College of Engineering Pune CSAT team. Swayam is in a low-Earth polar orbit. It operates on 437.025 MHz with a power output of 1 W. Other satellites on the launch that carried Amateur Radio payloads include BEESAT-4 (435.950-4800 bps GMSK, CW); BIROS (437.525-4800 bps GMSK; Max Valier (145.860 MHz down, 145.960 MHz CW beacon), and Sathyabamasat (145.980-2400 bps BPSK). The Yasme Foundation has announced three grants in furtherance of its goal of encouraging youth participation in Amateur Radio and in operating activities. The Yasme Foundation encourages amateurs to support activities that promote Amateur Radio and result in new licensees around the world. The Yasme Foundation grants will make it possible for some young radio amateurs, who otherwise might be unable to do so, to attend the sixth Youngsters on the Air (YOTA) conference this July in Austria. More than 100 young hams from all three IARU regions will gather to participate in a series of programs and workshops about Amateur Radio, and to get acquainted with one another. "Gatherings such as YOTA exemplify the ability of amateurs to work together across national borders and ethnicities in the best 'ham spirit' of friendship," the Yasme Foundation announcement said. A Yasme grant will enable two young radio amateurs from Kosovo to attend the YOTA conference -- the first time these young people will travel outside their home country. Two young operators from the Ethiopian Amateur Radio Society (EARS) also will attend the YOTA conference, thanks to a Yasme Foundation grant. Three young US radio amateurs will also attend the YOTA meeting as invited members of IARU Region 2, with the assistance of a Yasme grant and a similar grant from the Northern California DX Foundation (NCDXF). The boards of both foundations expressed the hope that they will return with ideas for extending the successes of YOTA to young North American amateurs. Read more. Tad Cook, K7RA, Seattle, reports: We've just experienced a solid week with zero sunspots. The average daily sunspot number was down 33.6 points to zero over the reporting period (June 23-29) compared to 33.6 on the previous 7 days. Average daily solar flux during the same 2 weeks dropped from 83.8 to 75.6, the average daily planetary A index increased from 7 to 9, and the mid-latitude A index rose from 6.9 to 9.1. Earlier in this month we saw 4 days with a blank sun, June 3-6. There were no sunspots throughout Field Day weekend. Even so, conditions were good for Field Day; there were no sunspots but no massive solar eruptions or geomagnetic storms either. The last time we saw a blank sun was on July 17, 2014 -- for just 1 day. Prior to that, 2 days in 2011 -- January 27 and on August 14 -- were spot-less. Going back farther, 2010 saw 51 days with a blank sun, with the longest period lasting 13 days. These recent periods of no sunspot activity were a surprise to me, even though we are in a declining half of the solar cycle. I didn't expect that extended periods of no sunspot activity would begin so early following the peak of Solar Cycle 24. The latest prediction has solar flux at 75 on June 30; 80 on July 1-7; 82 on July 8-10; 80 on July 11; 82 on July 12-13; 80 on July 14-17; 78 on July 18-23; 77 on July 24, and 80 on July 25-31. Following this, the prediction shows solar flux rising by 2 points for the first week of August. Predicted planetary A index is 15, 10, 30, 25, and 10 on June 30-July 4; 5 on July 5-6; 8, 10, 10, and 8 on July 7-10; 20, 12, and 5 on July 11-13; 8 on July 14-15; 5 on July 16-18; 15, 12, and 10 on July 19-21, and 5 on July 22-26. Sunspot numbers for June 23 through 29 were 0, 0, 0, 0, 0, 0, and 0, with a mean of 0. The 10.7 centimeter flux was 77.5, 75.7, 77.1, 76.6, 75.4, 73.1, and 73.6, with a mean of 75.6. Estimated planetary A indices were 12, 12, 7, 11, 10, 7, and 4, with a mean of 9. Estimated mid-latitude A indices were 10, 10, 7, 11, 16, 6, and 4 with a mean of 9.1.